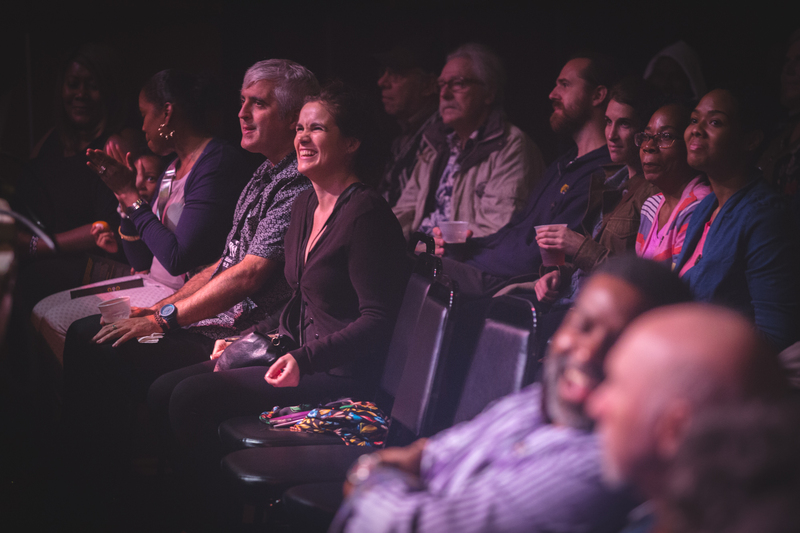 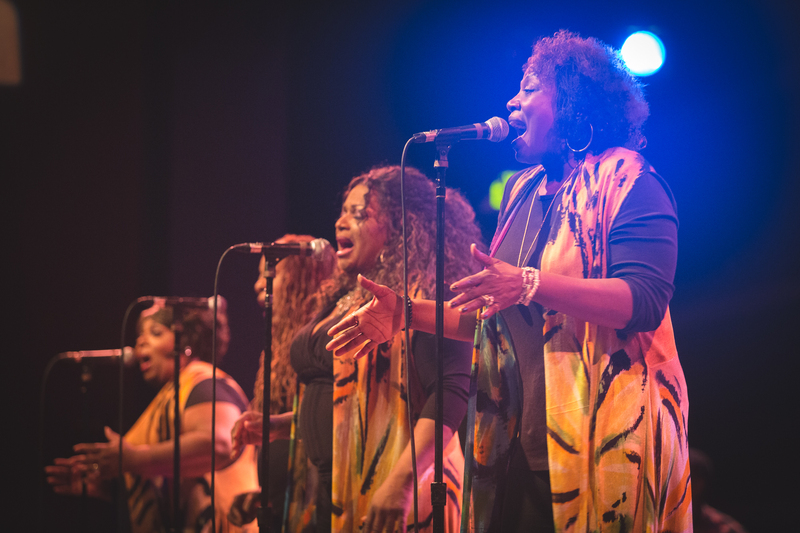 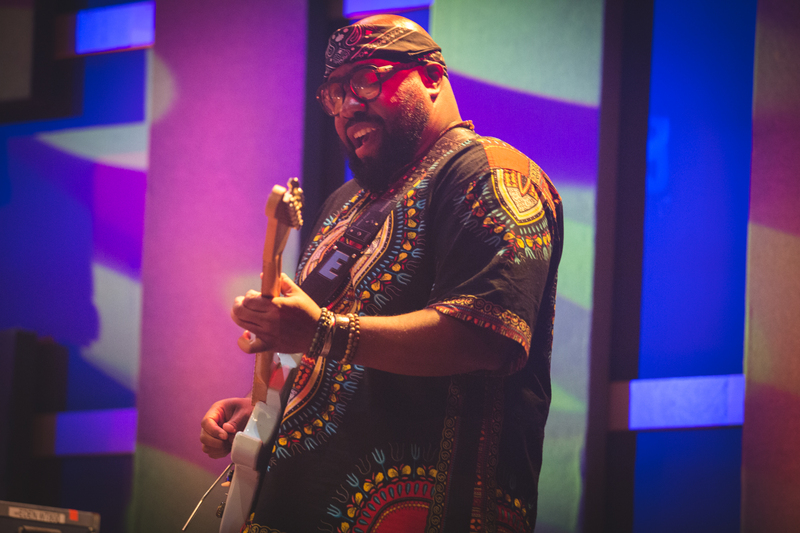 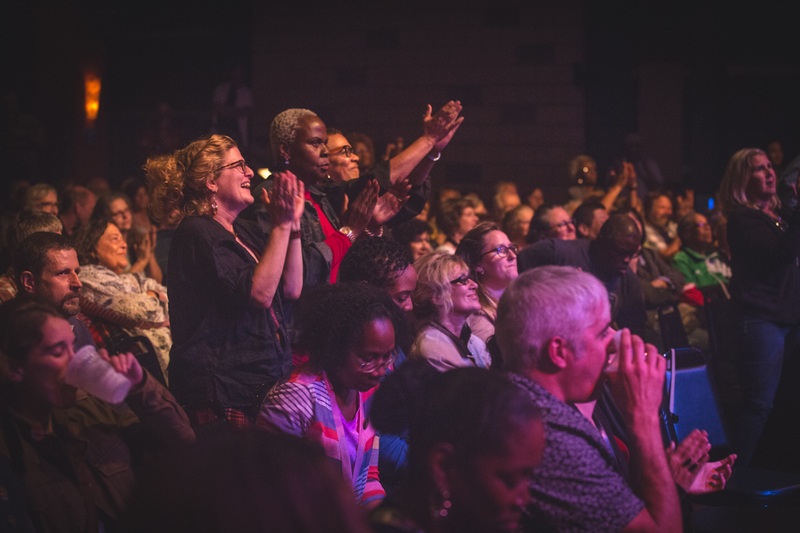 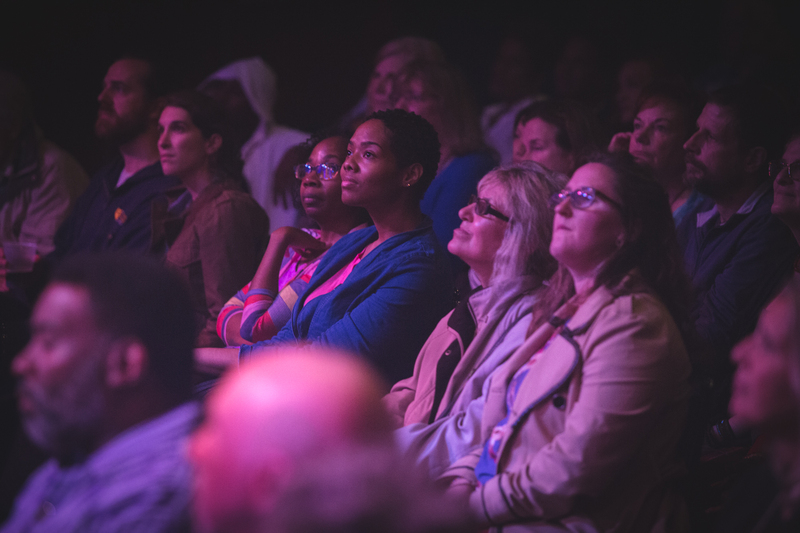 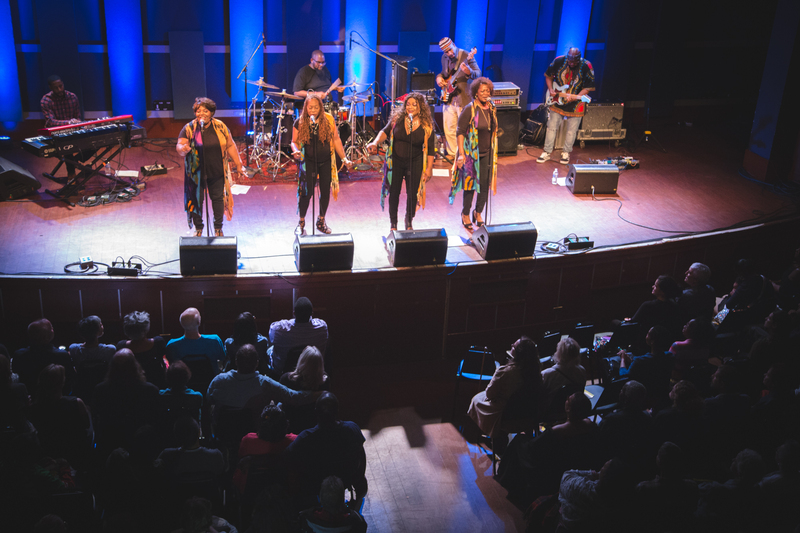 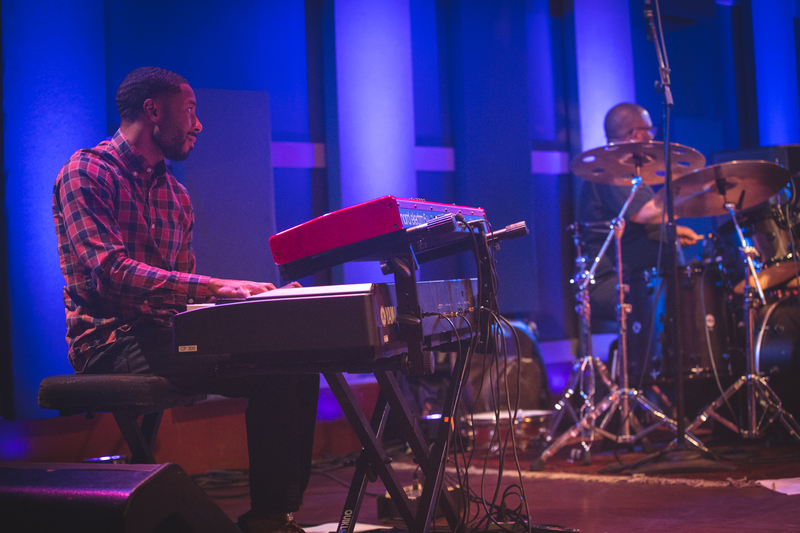 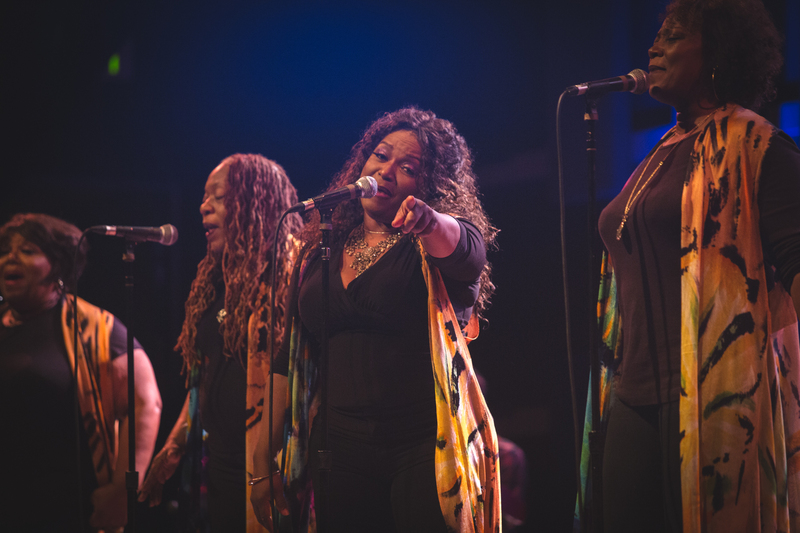 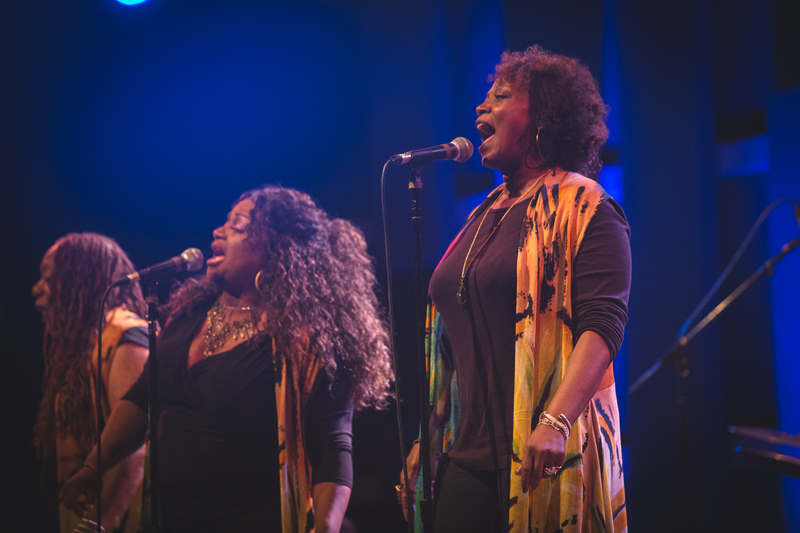 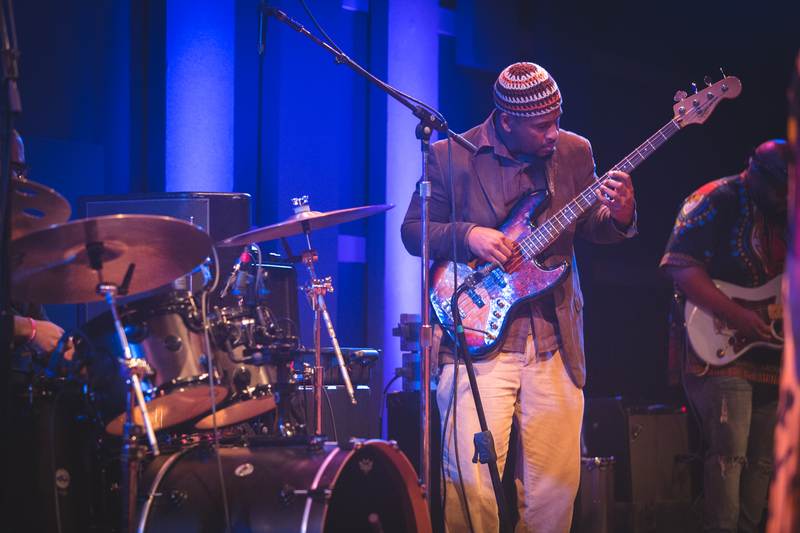 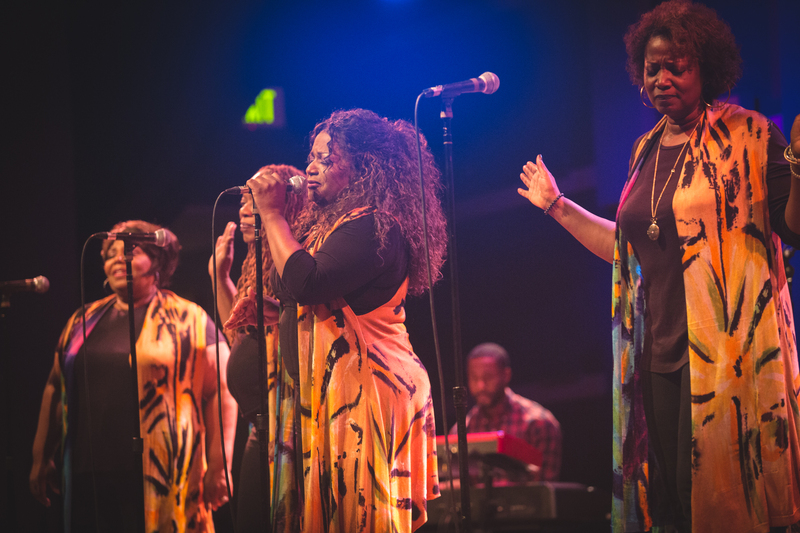 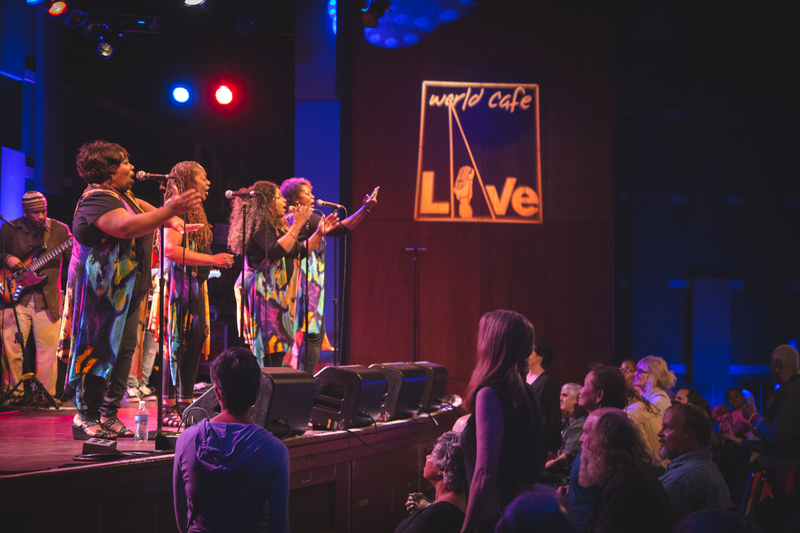 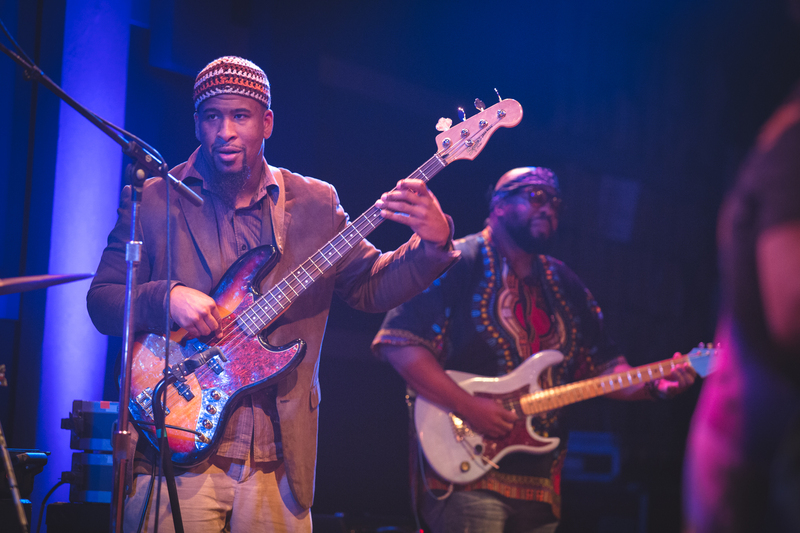 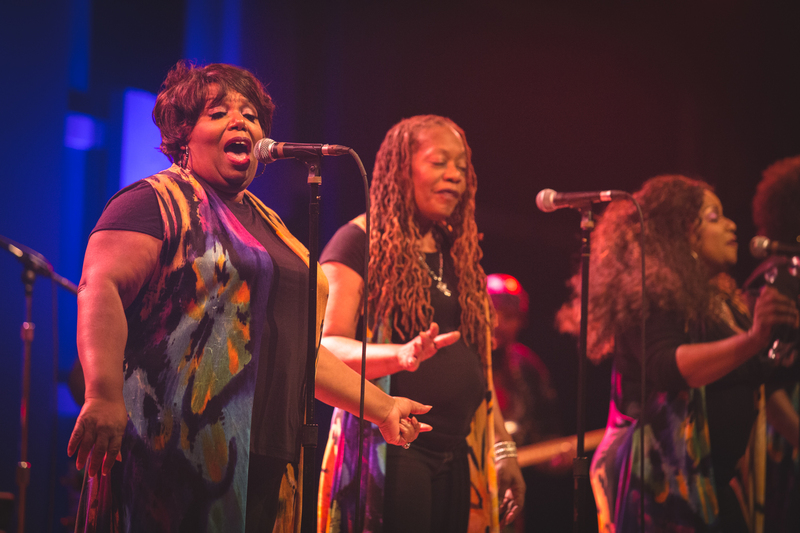 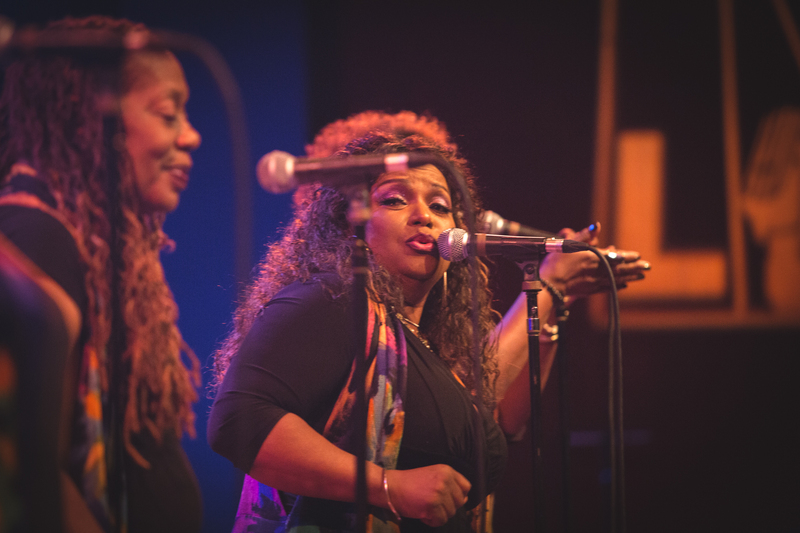 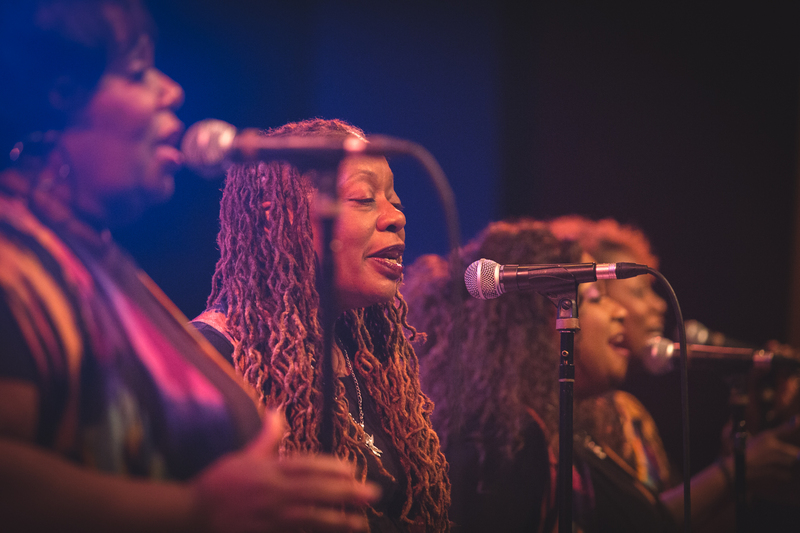 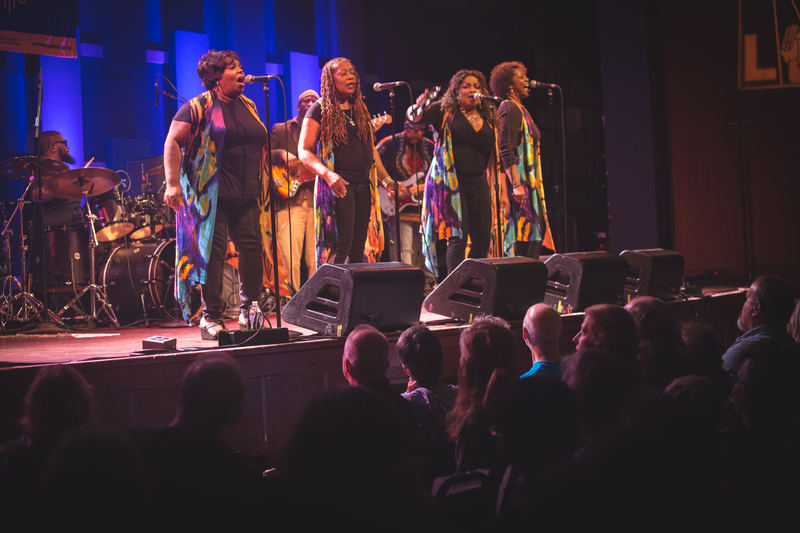 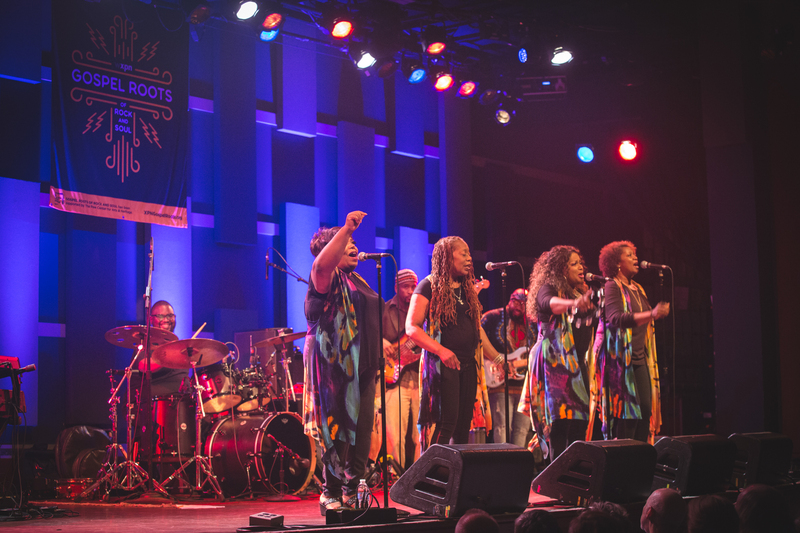 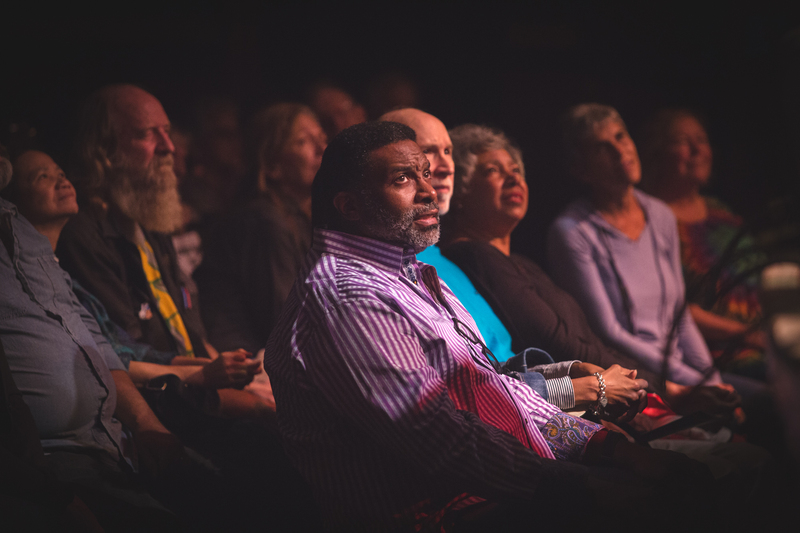 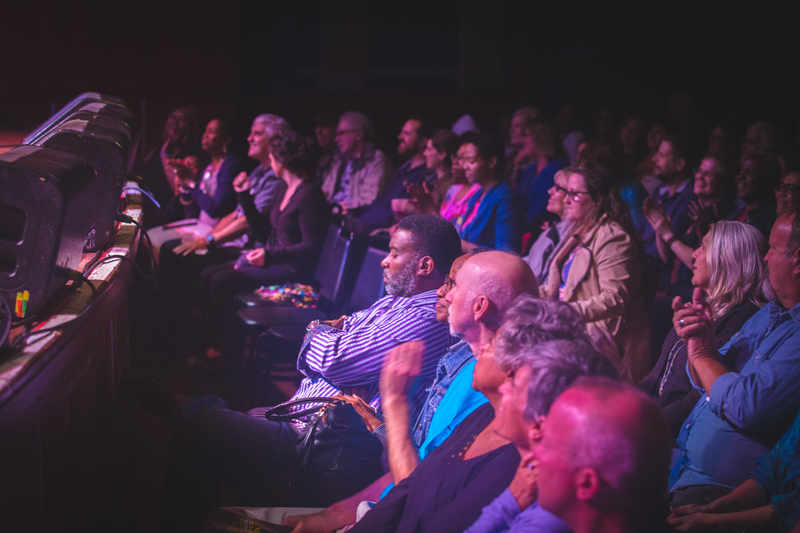 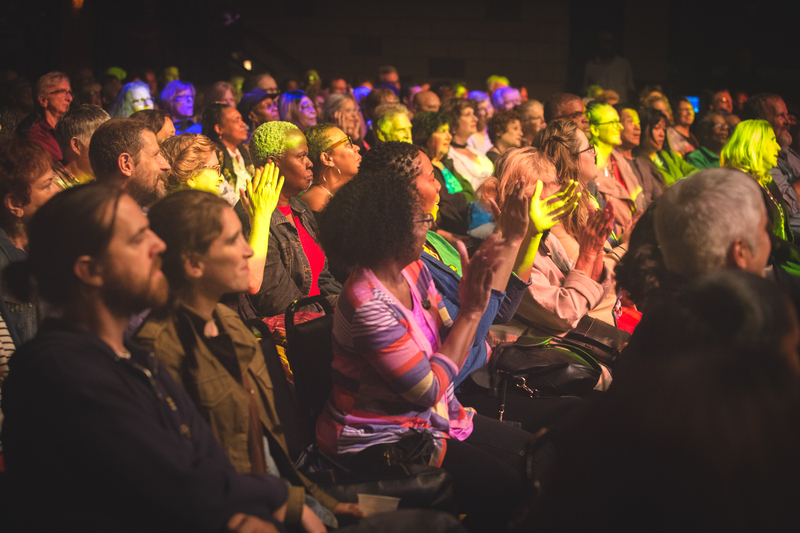 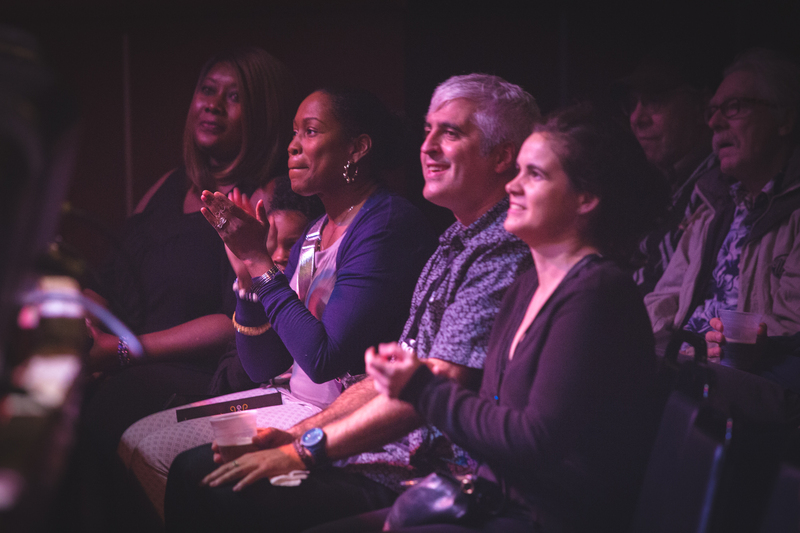 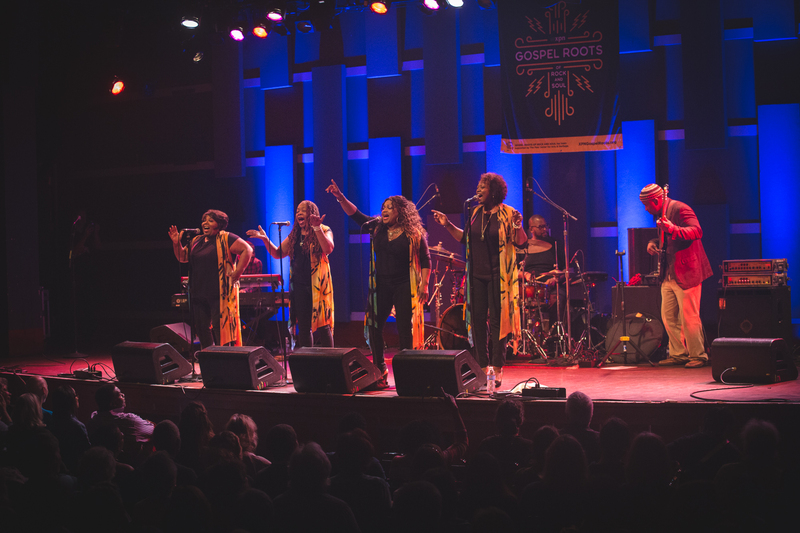 The McCrary Sisters – Ann, Deborah, Regina, Alfredo – and dazzled a standing room only crowd on Saturday evening, September 22nd at World Cafe Live in Philadelphia at the latest concert in the Gospel Roots of Rock and Soul series. 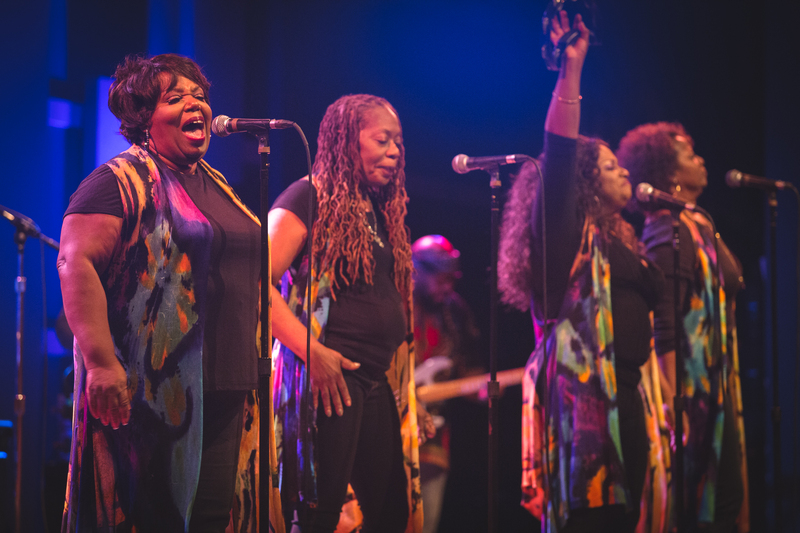 The daughters of Baptist preacher, Reverend Samuel H. “Sam” McCrary, a founding member of The Fairfield Four, who were featured in a previous gospel roots show, delivered an 11 song, 75 minute set of gospel songs, and gospel influenced soul and R&B songs. 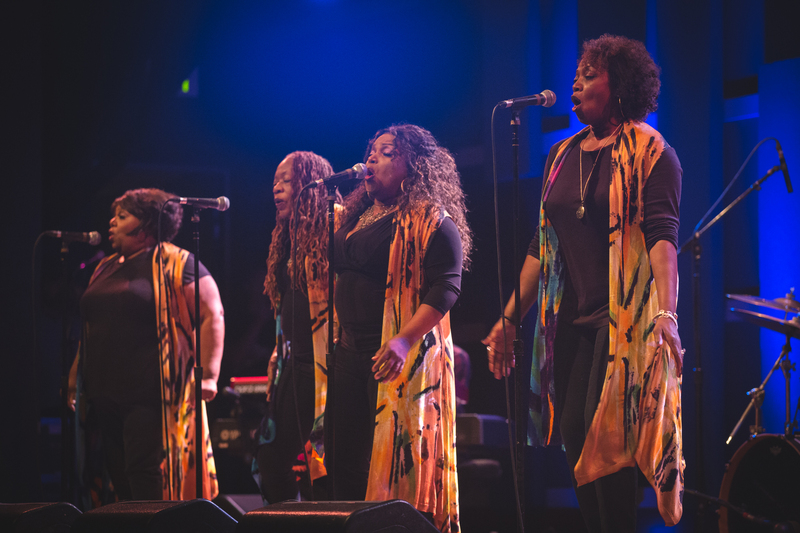 Individually and collectively, the McCrary sisters have sung with numerous gospel and secular artists including Bob Dylan, Stevie Wonder, Roger Daltrey, The Winans, Bobby Jones, Eric Church, Isaac Hayes, Kirk Franklin, Jack White, Margo Price, Elvis Presley, The Staple Singers, The War and Treaty and dozens more. 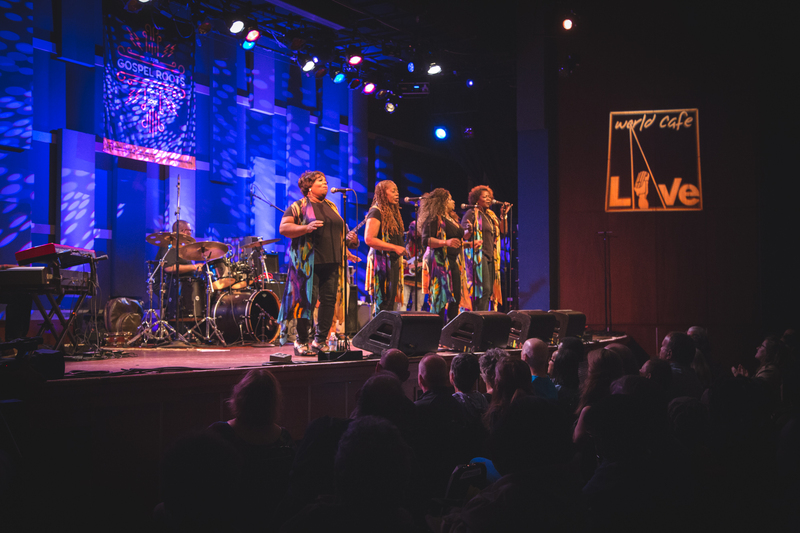 At the annual Americana Music Festival held in their hometown of Nashville, the sisters are a fundamental part of the house band that backs of up dozens of musicians at the awards ceremony in the Ryman Auditorium. 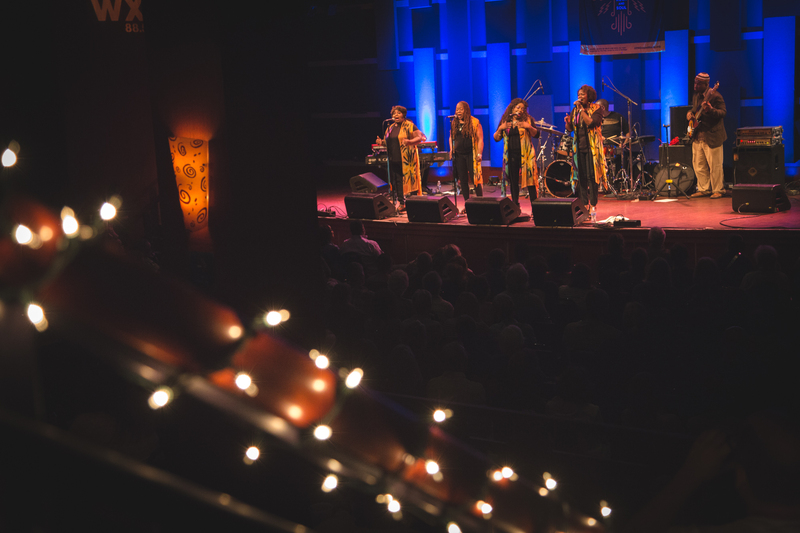 At their show in Philadelhia, they were backed by an impressive four piece band. 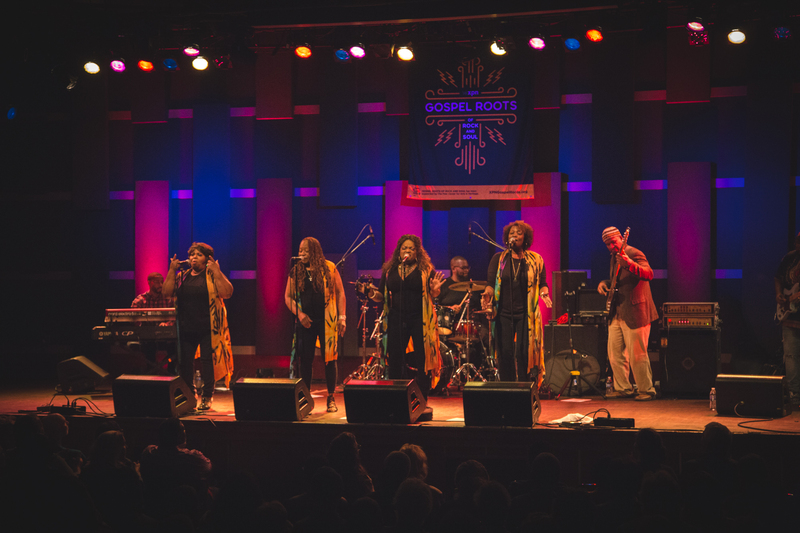 The sisters got the show underway with “Mighty Fine Time,” a rousing take on James Brown’s “Funky Good Time” and slid into some original gospel songs including “Brand New Day,” “Stones,” and the get-up-out-of-your seat tune, “David Dance.” They delivered an illuminating version of “Amazing Grace,” a funky, in the pocket cover of Sly & The Family Stone’s “Thank You (Falettinme Be Mice Elf Agin),” and closed with The Staple Singers’ “I’ll Take You There,” that once again, got the audience up on their feet. 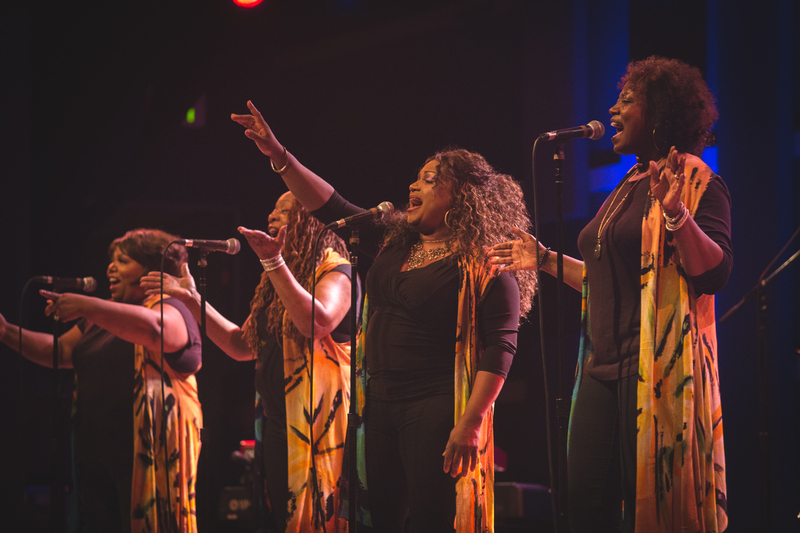 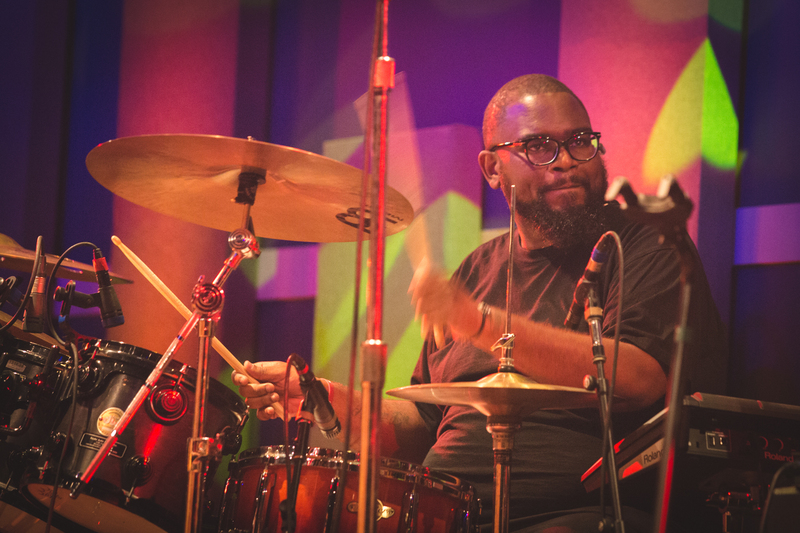 All photos by Denise Henhoeffer for WXPN.